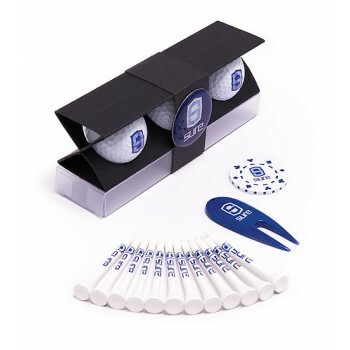 Promotional Golf Packaging With 3 Balls 1 with full colour resin dome and supporting packaging. 12x 70mm Tees printed up to 3 colours on the shank. 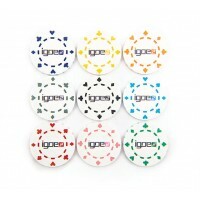 1x Digital Pokerchip printed full colour to both sides. Available in 9 colours. 1x Plastic Repair Tool printed full colour. Available in 4 colours. 3x Wilson Ultra or Srixon Distance golf balls printed on 1 pole. Ball upgrades available and must be ordered in denominations of 4.